I believe you may have already heard about what the TensorFlow is. 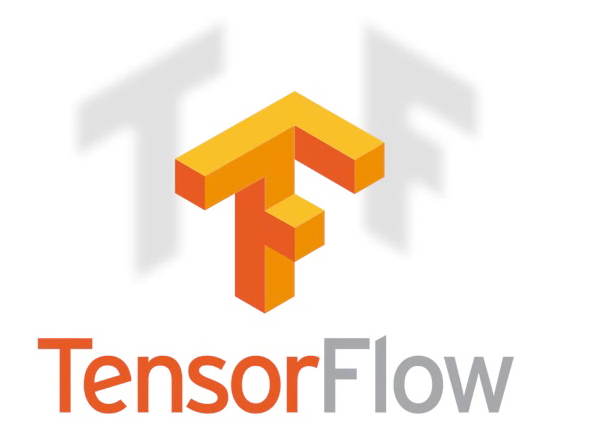 TensorFlow(TF) is an open source machine learning library developed by Google. As the name it is, the library uses tensors(multi-dimensional arrays) as its basic data type, and run the learning algorithm as if liquid(data) is flowing through the graph structure. The structure of TF codes is quite intuitive. First, define the graph structure for learning, and second, instil the data liquid (data stream) into the graph structure. That’s it. How simple it is…! Before I start, I’d like to mention that the contents of this article is based on the following tutorials and example codes. Also, I’d like to note that the codes in this article is not for actual performing the TF, but for understanding of the basic workflow of the TF. Thus, please refer to the example codes listed below for completing your TF codes. </br> I’d like to backtrack the workflow of a TF codes from the end. What would be the last step of the TF code? It must be feeding the data into the pre-built graph structure (learning structure) to get the results. The tf.Session() runs the learning structure by feeding the data feed_dict into the structure train_op. Note that all variables should be initialized before used. We can think the learning structure as a continuous data flow. If you fetch a datum block from the end, then a input block will automatically be fed into the front because the flow should be continuous. Thus, what the tf.Session() need to acceess is not the whole structure of the graph, but just the the last output of the structure. Here, the last output that tf.Session() is accessing is train_op. Our remaining question is where train_op comes from. It should be the learning result from the leaning structure, i.e., neural network. 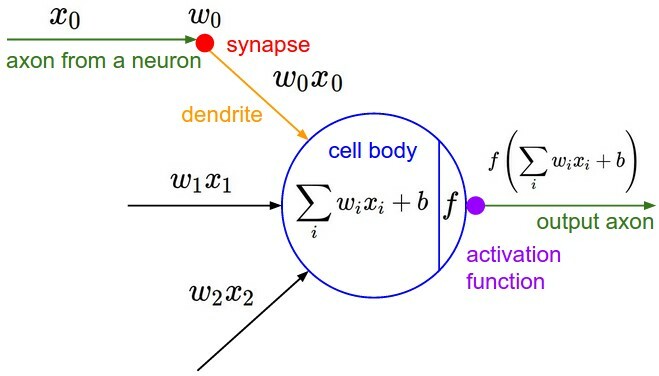 In fact, the process of learning neural network is nothing but optimizing weights of the neural netork to fit the model into given truths(labels). Thus, the last step of the learning structure is optimization, and train_op comes from this optimiztion process. The optimization process is defined with the choice of optimizer and cost function. Here, we use softmax_cross_entropy_with_logits as our cost function, and GradientDescentOptimizer as our optimizer. You can find list of available optimizers and cost functions (cross entropy functions) from here and here, respectively. You can also define your own optimizer or cost function for your own purpose. Apply an activation fuction to to introduce nonlinearilty to the learning structure. An ordinary choice of the activation function is rectified linear unit (ReLU). To make the final output in the range [0,1], apply softmax funtion to the output at the last (output) layer. The Step 3 can be omitted if the cost function has already included softmax funtion as in the softmax_cross_entropy_with_logits function. Finally, the nodes for receiving training data are defined as follows. If our goal is to classfy digits (0~9) from MNIST data of which dimension is 28 by 28 (=784), n_input is 784 while n_output is 10. To recap, the following is our first neural network code by using TF. As mentioned earlier, this is not a complete code, thus, please refer to the example codes listed above. In real applications, you need to train the neural network with minibatch (subset) of data and iterate the learning process(session) for several epochs for getting better result. Also, Convolutional neural network, which is the today’s new standard for image recognition problems, requires to include additional layers such as convolution layers and max pooling layers. But the basic workflow of the TF code is same; first define the structure of the neural network, second, feed training data into the structure to optimize the model. That’s it. You can evaluate the results by comparing predicted values with true values. I hope this article would be helpful for you to understand the basic workflow of TF. Feel free to leave you feedback on facebook or google plus!